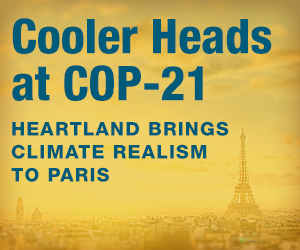 Cooler Heads to livestream climate skeptic conference at #COP21 | Watts Up With That? PARIS (December 6) — The Heartland Institute, the Nongovernmental International Panel on Climate Change (NIPCC), and members of the “Cooler Heads Coalition” are hosting a one-day event in Paris that will do something the UN’s COP-21 conference is not doing: examining the science behind the hypothesis of a human-caused global warming crisis. The program begins at 09:00 GMT+1 with a press conference featuring several representatives of “skeptic” organizations in the United States, Canada, and Europe. It will be followed by panel presentations by some of the world’s leading climate scientists and policy experts, and a keynote luncheon address — featuring recorded remarks by Sen. Jim Inhofe (R-OK). Watch the conference at this link. Presenters at the one-day conference will make the compelling case that an objective examination of the latest climate science shows humans are not causing a global warming crisis, and that the United Nations’ “solutions” will cause more misery to the world’s poor while enriching corrupt governments. The Heartland Institute is a 31-year-old national nonprofit organization headquartered in Arlington Heights, Illinois. Its mission is to discover, develop, and promote free-market solutions to social and economic problems. For more information, visit our website or call 312/377-4000. December 6, 2015 in Climate News, COP conferences. 11:45 am Extreme Weather Events – Are we heading for a Catastrophe? 3:45 pm The Dual Fluid Reactor – Our Future “Alternative” Source of Energy? adjunct professor at the University of Victoria, British Columbia, Canada. How does a Climate Club function? All presentations are interpreted German-English and English-German. That is quite a program. What is most astonishing is how the leaders are all worried about slightly warmer winters whilst terrorism rises higher and higher and religious wars heat up to the boiling point and nuclear bombs are still aimed at Eurasian and North American continents…this is insane. I do note that the populations of Europe and North America are increasingly worried about this real danger that is engulfing us. Not to mention overpopulation, the root of it all. Actually not. One of the reasons Germany was so keen to get young refugees was the opposite their ageing and reducing population. The Chinese have recently revoked their one child rule for the same reason. There is currently a glut of food thanks to the fertilization of CO2. Malthus and Ehrlich were wrong. But the German government never asked the neighbours about this plan – and especially Sweden has been overrun by immigrants this fall. Not to mention the Balkan contries. The Nordic contries have had a passport union since 1952, and for the first time since then we now have to bring passports. The swedish authorities has been brought to their knees – and of course blame Denmark for not taking our share. We take only a tenth of what Sweden does – 15.000 this year. The German government apparently believe that a wrong ‘episode’ in the past can be corrected by a politically correct action today. But the real wrong then was to follow the leader to Ragnarok – and they are about to do the same again. I find it really interesting that the spectre of “overpopulation” is so frequently raised, and always the implied criticism is levelled at Third World countries. Yet the population density of India (368 persons per sq km in 2014) is quite comparable to the population density of Belgium (355 in 2010), the Netherlands (411 in 2015), and Japan (337 in 2010). No one claims, however, that any of these 3 countries is overpopulated. Nor, for that matter, is there ever any comment on the population of Monaco, which has approximately 45x the population density of India and no arable land. (Monaco had 16,923 persons per sq km in 2009). And the population density of Singapore was 7148 persons per sq km in 2010. Just for the record, the population of Syria was 118 persons per sq km in 2009, about half that of Belgium, the Netherlands, and Japan, and far below that of Monaco or Singapore. Yet we don’t see the Belgians, Dutch, Japanese or the citizens of Monaco or Singapore growing terrorists or starting religious wars – why is that? Could it possibly be because “overpopulation” is not the problem? Another interesting point – we could put the entire population of the world in North America, and everyone would have almost a full acre of land to claim as their very own. What that tells me is that there are vast areas of the world where there is practically nobody at all. Sorry – forgot to cite my source for the population densities – I got them all from Wikipedia. I know – hardly a great source, but it has its uses. The root of it all is corruption. At the present rate of population growth, the earth’s population will stabilize in around 15 years, according to UN population estimates. Another [nation] that has too few adults to fill current jobs is Japan. The ‘leaders’ are not at all interested in, or concerned about, warmer winters, or about climatology at all. They are definitely interested in more taxes, more control, and more government, and more goodies for themselves. That is what brings them to these conferences. Science? What science? They ‘leaders’ don’t care what a minority of scientific ‘cranks’, ‘crackpots’, and ‘d*ni*rs’ have to say. They drive by the skeptics in their hired limousines with their noses in the air and their eyes averted, looking ahead to self-congratulatory speeches, good dinners, and more money. I’ve noticed that all but the most radical news sites have buried any mention of a “climate agreement.” CNN had a single link on their home page for only about 6 hours yesterday, and National Geographic’s assessment, (see link below), pretty much asserts that there is no agreement. Add to that short run polls indicating complete exasperation at the attention that Obummer and the administration are giving to the climate rather than real problems and you get the sense that among all but the kool-aid crowd this is a close-to-dead horse. The trouble is, the horse stinks to high Heaven even before burial. However, of course there is a long way to go before the fat lady sings, and we have yet to learn what song she will be singing. But notice even in the Guardian’s tag line “binding agreement way off” that’s an admission that there’s no agreement. This isn’t a spousal relationship, where I agree to go to see a community theater production of Annie Get Your Gun on Friday night and my wife agrees to let me watch a college football game on Saturday. This is the typical evasive action of politics where I see what I can get you to commit to in public, then respond with something that sounds like we’re on the same page, both with the intention of walking back those statements at a later date in order to serve our own purpose. I’ve read the draft. it’s nothing but hedges and dodges that can be walked back at a moments notice. Next year we will ba calling this conference COP-OUT 21 . Is that a perfect label, or what? And why wait for next year? It’s perfectly ripe now, and ready to use. Our beloved CBC radio (Canada) still is pushing the climate change crisis for all it’s worth with a mention of the Paris conference on virtually every newscast (glowingly supportive, of course). I don’t know about the TV because I don’t watch it much, but on the occasions that I have looked I have noted that the CBC and CTV are busily supporting the conference while allowing no realistic replies. I have sent a few notes to the CBC programs and the ombudsman, but apparently to no avail. The journalists of the CBC know everything and do not need to listen to us who have spent vastly more time and effort informing ourselves about the realities of climate. Add to that our Montreal Gazette which gladly publishes most of my letters to the editor EXCEPT when they critique the climate change gospel (all the while devoting 2/3 of their paper to the selling of fossil-fuel burning cars. Money talks, eh?). 1) Al Gore’s chart demonstrates that the climate is always changing. For it not to be changing would be abnormal. 2) Change in temperature over the past 50 and 150 years is well within the norm for climate variation. 3) Geologic records demonstrate that we are very near the low of the atmospheric CO2 levels. We once reached 7,000 PPM, fell into an ice age when CO2 was 4,000 PPM, the current level of 400 PPM is only 220 PPM above the level where plants die. We have never experienced CO2 drive catastrophic warming. 4) There is no mechanism explaining why CO2 would increase before temperature to “force” the earth out of an ice age. There is no mechanism to explain why CO2 would decrease to force the earth back into an ice age. 5) There is no mechanism by which CO2 could cause global cooling. It only traps heat. It can’t result in cooling. 6) We have had no temperature increase in over 18+ years, during which time CO2 has greatly increased. 7) The trend in CO2 has been constant since records started in the 1950s. Man’s CO2 production has accelerated. Clearly man isn’t driving atmospheric CO2. 8) All the IPCC models have failed to accurately model the climate, and all have overestimated the expected warming. That demonstrates a bias, not sound science. 9) The oceans are warming, IR between 13 and 18 microns which CO2 absorbs and emits won’t warm the oceans. 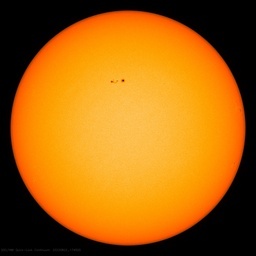 10) Day time temperatures are driven by visible light. Record high day time temperatures are evidence that something other than CO2 is driving the temperatures. 11) The deserts have dry air, the rain forests have humid air, the temperature variation between day and night are extreme in deserts, stable in rain forests. That proves CO2 doesn’t trap much heat. Mars has a much higher CO2 concentration than Earth, yet it has extreme temperature variation between day and night. 12) Nothing the IPCC proposes will have any material impact on Climate. 13) The Hockey Stick will never be independently replicated/reproduced. No honest scientist would ever resort to “Nature Tricks” to “Hide the Decline” and avoid using thermometer data. This kind of garbage can only pass a biased and corrupt Peer Review process. 14) Key point for the liberals, there are only so many $’s to redistribute. Do you really want to waste all those $’s on nonsense? Wouldn’t you rather build schools, hospitals, water facilities? Don’t you want to do some good in your life? Undermining science and confidence in the big Government that you love is working at cross purposes. The threat of global warming has been exaggerated. Why are climate scientists reluctant to explain how they justified lowering the older temperatures and raising the newer ones to make the temperature rise appear higher? Why do they still believe the computer models that have been falsified by the eighteen year pause? It doesn’t matter even if they were right, except for the $hundreds of billions being wasted and the million poor dying each year because they are denied electricity. The one year trial of a 1 MW LENR (cold fusion) plant will end in about three months and the results published for all to see. Independent reports say it is running well. LENR is very cheap, safe and pollution free. LENR will replace most coal and oil energy over the next several decades. if that is truly so, it sounds like good news, but as the previous article notes (Greenpeace and Nuclear research), the greens do not like nuclear so one can expect some heavy and misguided opposition. Whilst personally, I am not particularly concerned about the level of CO2 emissions (for many reasons), if one wishes to reduce CO2 emissions, the only option (until cheap mass storage of energy is invented) is to go nuclear. There is no other option. This was known in the 1980s, and it ought to have been pushed back then, if there were genuine concerns, or even genuine reasons to be concerned about the level of CO2 emissions. Is that the Moore that runs around the globe in support of nuclear? What will he do with all that deadly waste? If he believes in it so much, then maybe he should shove the remaining waste up his you know what. Anyone running around talking like a delirious clown as in Moores case, still doesn’t get it and is distracted from the main issue. These either really stupid or funded by those with lots of money and an agenda- a global one! Again, how is nuclear an option? How much mining of Uranium is done? How much waste must they bury and why? Why bury such a vile by-product if this technology is so great? The only voice of those we should be hearing……. are of those who travel the world ranting about the attack on life and ones own autonomy. An attack on freedom and a forcing of the general public on complete dependency on over-rated energy needs and despotic governments. Nuclear bad, Wind bad (at least the large scale crap) damming rivers and flooding out areas the size of Toronto is bad, coal dumb, Tar Sands really dumb, drilling for oil not as bad or dumb as Tar Sands project. Well built homes is good, conservation is good, wood burning systems is good, if not then solar over on your own damn roof is the next option. Rain barrel systems good, gardens good, fruit trees good. Waste is a non-problem scientifically. It’s only a political problem. Maybe you should shove your windmills… &etc. Where are you coming from, kenin? You attack all sides. Maybe it’s easier to just hate everyone and everything, because that takes no thinking. Me, I like Dr. Moore. He thinks for himself. He argues rationally, like the late, great Dr. Michael Crichton. You need to ask yourself: why does Greenpeace hate Moore so much? They certainly never argue science with him; everything from Greenepeace is a personal, ad-hominem attack against Moore — one of their original co-founders. Maybe Greenpeace hates the fact that Moore has turned over their rock, and now the whole world can see what’s crawling around under it. dbstealey…kenin clearly has no need for modern industrial infrastructure because, apparently, he magically believes that all that capital that supplies the economy with the where with all to produce, process, and distribute all that is required for a flexible educated workforce to preform the necessary tasks to get us all to the next cycle of production is just there, like that rainwater in a barrel he referenced. Or wood as a “renewable” resource for heat. Once humankind is reduced to the level of depending on charcoal and wood as any significant portion of our economic energy needs the environmental degradation will be accelerating at breathtaking rates. Dr. Moore is a hero in the climate wars! I’m actually against large commercial wind energy projects. “Dr. Patrick Moore earned a PhD. So, what’s your educational accomplishment? 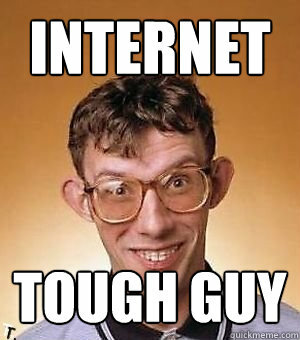 A PhD in ‘Internet Tough Guy”? PhD huh. its information not education pal! I’m so glad my own personal experiences/observations and over 40 books read have made me a man without a PHD. I’m simply self taught in the following fields: Botany, atmospheric science, permaculture, Personal trainer (nutrition/dietician) law and music. Thank God no schooling, just the passion and love. So no!, not an internet tough guy, just a guy that’s been around the block and down some dirty corrupted rabbit holes. That’s why I talk the way I do. i’m not here to take anything away from anyone, i’m just trying to wake people up. Moore is a goof! Moore is part of the same two headed monster as those who are oppose to it for the wrong reasons. I’m real about. I don’t have an agenda and i’m definitely not paid to promote my inner thoughts and feelings on issues like Moore is. As for Greenpeace……. they’re for amateurs who don’t see the two headed monster. Maybe now you know a bit about where I’m from. “just the passion and love”…..oh gee…pass the sick bag! That sounds like one of the more way out types one encounters in Earth Garden mag here in Australia! I’m glad to see the energy part of the conference, as COP21 is mainly about that, despite the obvious absence of energy experts asking awkward questions around the achievability of virtue-seeking pledges that in many cases are little more than wishful thinking. The UN should be pushing for everyone to have reliable, low-cost electricity (and natural gas), as that is the way to avoid indoor air pollution and urban smog and to have a decent standard of living. Coal is an excellent source of such electricity. We have a famous wording from one of our previous prime ministers. He said : ‘Tax is a never ending resource’. And that is just how they treated us. I am Swedish. California Governor Brown will not be attending, he will be promoting AGW propaganda in another venue. I want to watch this. Does anyone know if it will be available after the live stream? I’ve arrived in Paris today and will visit the ‘Day of Examining the Data’ conference tomorrow! nothing to say huh, just trolling around….. absolutely no substance to speak of???. Troll! Well Mr. Autodidact, FYI, there is a little blue reply button to actually respond to a particular comment. Your comment WRT Annie is quite a revealing projection. Yeah, I’m aware of the blue button “reply”. Its called impulse it didn’t actually cross my mind at the time when stooping to her level in response. Trolls everywhere…………….